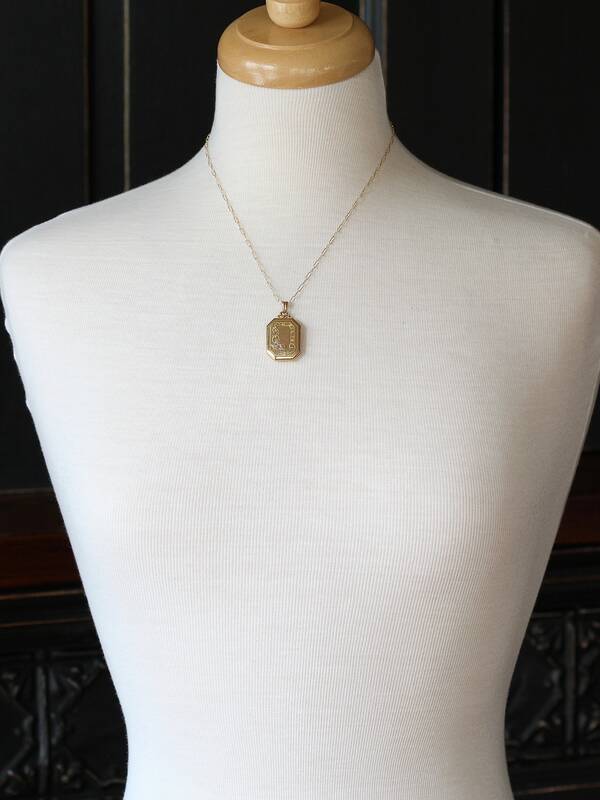 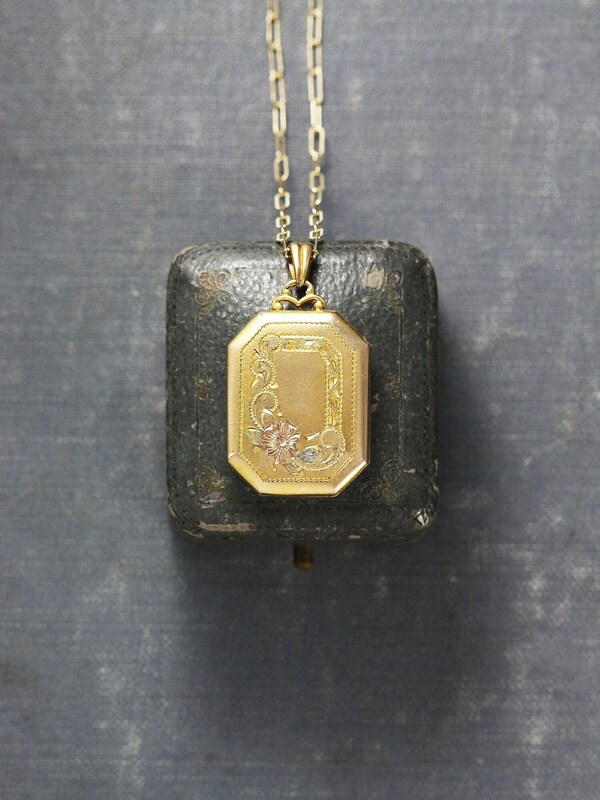 A beautiful circa 1940's gold filled locket is shaped as a unique book with photo corners, timeless floral inspired engraved border, filigree inspired top, and the original bail. 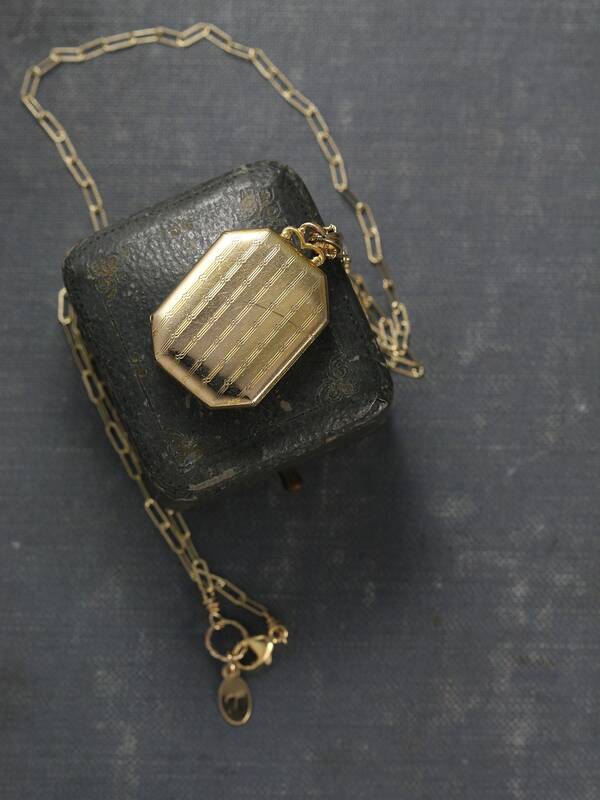 The back of the locket features the signature pinstripes of the Hayward company. 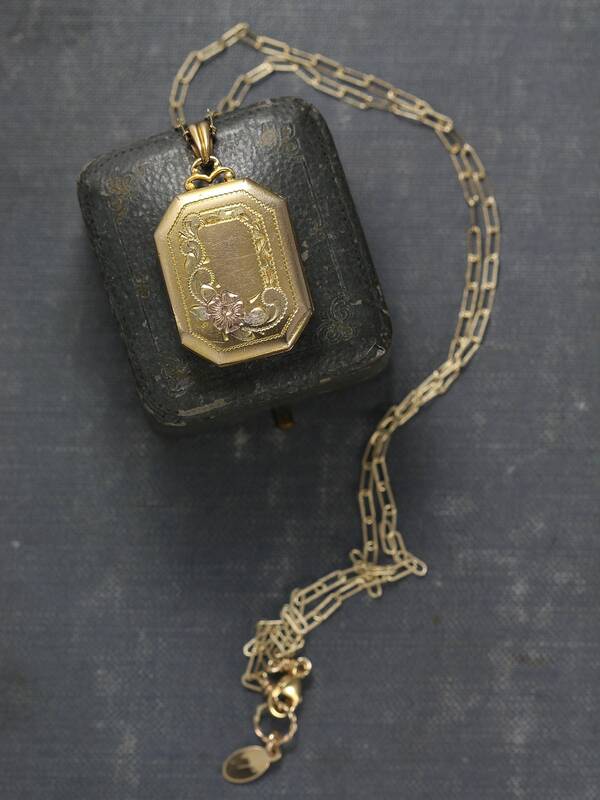 This locket does have a single scratch on the back of the locket; however, it does not distract from the beauty of this rare find. 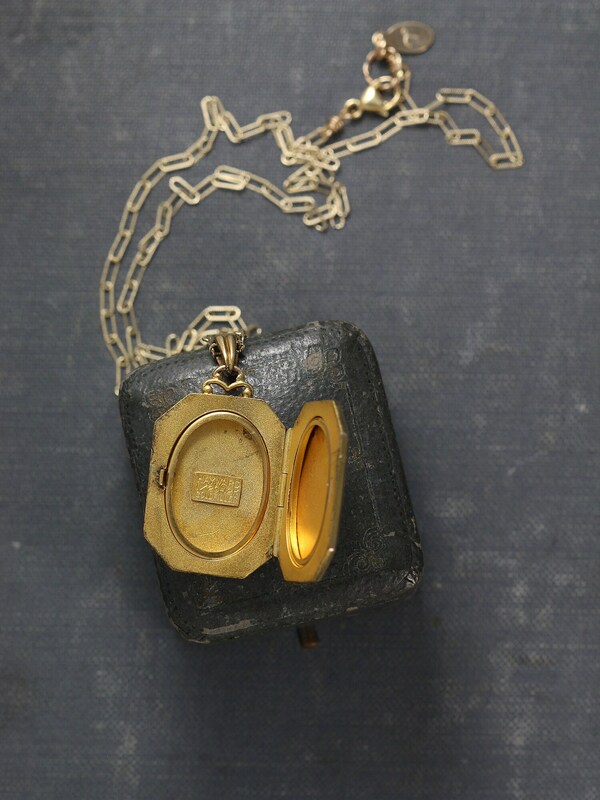 The locket opens to reveal two removable frames ready to hold your beloved photographs and dangles on a new special 14k gold filled patterned drawn cable chain hand finished with a trigger lobster clasp and ring.